This section has all the Ford Powerstroke 7.3L Diesel Injectors. 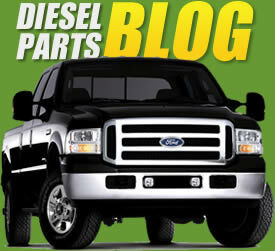 Ford offered the Powerstroke 7.3L Diesel from 1994-2003. The Engine was designed and manufactured by International/Navistar. Three design changes we made in the engine: The first was in the 1994-1997 models, these Diesel Fuel Injectors are marked with a letter code "AA". The second version was from 1997 to 12/1999, these Diesel Fuel Injectors are marked with a letter code "AB". The last version was from 12/1999 until 2003, the engine had two different injectors in the engine. Cylinders 1-7 had an injector with a letter code "AD". The number 8 cylinder called the long lead or Cackle Injector has a letter code marked "AE". The letter codes are on the top of the injector behind the International Part Number. This is a Factory Re-Manufactured Diesel Injector. The high pressure fuel injectors in the ford Powerstroke 7.3L diesel engine controls the delivery of fuel precisely into the combustion chamber. These are HEUI injector designed by Caterpillar for ford Powerstroke 7.3L and the T444E Navistar International Engines. The design uses high pressure engine motor oil to create the mechanical force to atomize the fuel. This is a Factory Re-Manufactured Diesel Injector set. This set includes (7) DE504 "AD" Diesel Fuel Injectors for Cylinders #s 1-7 and (1) DE505 "AE" Diesel Fuel Injector for Cylinder #8. The high pressure fuel injectors in the ford Powerstroke 7.3L diesel engine controls the delivery of fuel precisely into the combustion chamber. These are HEUI injector designed by Caterpillar for ford Powerstroke 7.3L and the T444E Navistar International Engines. The design uses high pressure engine motor oil to create the mechanical force to atomize the fuel. Diesel Fuel Injector Set - Ford Powerstroke 7.3L International T444E 1994-1996 "AA"
This is a Factory Re-Manufactured Diesel Injector set of 8 Injectors. The high pressure fuel injectors in the ford Powerstroke 7.3L diesel engine controls the delivery of fuel precisely into the combustion chamber. These are HEUI injector designed by Caterpillar for ford Powerstroke 7.3L and the T444E Navistar International Engines. The design uses high pressure engine motor oil to create the mechanical force to atomize the fuel.